Home / QuiBidder of the Week – Josh P.
It’s Monday, which means it’s time to introduce the newest QuiBidder of the Week, Josh P.! Josh has already won numerous items on QuiBids, but like many other newbies to the site, Josh was skeptical about joining. How could someone possibly score deals this great? So Josh decided to find out for himself if QuiBids is legitimate, and he sure is glad he did! Since joining, he has won lots of great stuff for a fraction of the Buy Now price. Be sure to check out his QuiBids story below, and share your congratulations with Josh in the comment section at the bottom. “First off, I didn’t believe all the hype that went along with QuiBids! I saw the commercials, I watched the site, and I just didn’t buy it! I said to myself “There is no possible way I could win.” So what did I do? I joined and bought a starter bid pack, and well, I started bidding! I’m not going to lie, I actually won my first auction! It was a sterling silver heart necklace! I won it with only one bid! I was in complete SHOCK! My second item I won was a 10k Amethyst & Created Sapphire Earrings! The earrings were $75, and I won them for 34 cents! I only bid 10 times! So by this time, I was totally hooked! With a bit of bad luck bidding on the bigger items I decided to go low again! So I placed my bids on an Ematic 8GB MP3 Player with Touchscreen, thinking to myself “There is no way I can win this!” Little did I know, BOOOOOM! I won this auction too! I only spent $2.90! If I was to give some advice to anyone who is starting off on QuiBids, like myself, I would say to start low and just get the feel for the auctions. 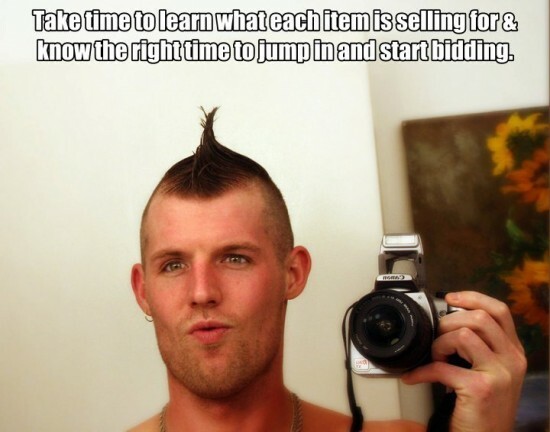 Take time to learn what each item is selling for and know the right time to jump in and start bidding. The rest will just fall into place! Have an awesome day everyone! Oh and they do give out 50-100 Free Bids!!! !” – Josh P., QuiBidder of the Week. QuiBidder of the Week – Sharron C.